Looking for some freebies for Memorial Day? There are seven paid, popular iOS apps that are yours for the taking until Monday comes to an end. First up is Movie FX Cam which adds 39 special effects to your videos. Normally 99 cents, this would be a great free pick up for someone who fancies himself as the next Spielberg. If you like climbing things, Altimeter GPS+ is free for the rest of the day. Normally $1.99, this app measures your altitude and the rate at which you are climbing. Game of War-Fire Age is normally $7.99. This is a game that features an online community like World of Warcraft. If you like that type of game, it won't cost you a red cent to join the crowd. The number one desktop remote app on iOS is Splashtop 2. Other days of the year, you'd be coughing up $9.99 to access your desktop PC by remote from your iOS device. Not today, though. There is no charge to download the app. At $2.99, movieClips converts your pictures into a short video clip and even allows you to add sound. 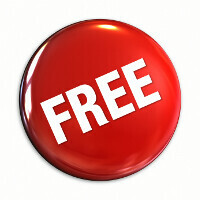 Today, you can add it to your iOS device for free. Normally 99 cents, InstaTiling is free for the rest of today. This app allows you to convert your photos into tiles, and then arrange them on Instagram as a banner. You've seen your friends do this on Instagram, and wondered how they did it. Now you know. Lastly, all of the Chop Chop games are free today. That includes titles like Chop Chop Ninja and Chop Chop Soccer. There are only hours to go until Monday becomes Tuesday. If you want to pick up some free apps, go ahead and download them now. If you have enough storage, you can quickly pick up all of the apps and then decide later which ones you really want to keep. I wish Samsung or some other feature-driven phone manufacturer would include a barometric altimeter on one of their phones, i.e. S5 Active. They are more accurate than the GPS altimeters and can be used without spending battery on the GPS. you want everything in a phone. next time ask for a nip--ple and a diaper change as well. There are many good uses for temperature, humidity, and other sensors. It can be very helpful in a building, for example, to know how well the HVAC is working. These sensors, if they were ubiquitous on phones, would be very useful to understand how different HVAC settings were affecting building conditions in many different locations. Outside, rapidly changing temperature can be dangerous for a lot of people. Low temperatures can be harmful and the phone could remind someone to get inside if they don't have adequate cold weather gear. Barometric altimeters can be used by hikers and rescuers even when there is no GPS available, i.e. under heavy trees, satellites are not available to do local topography, i.e. canyons, mountains, etc. Game Of War - Fire Age is always free. I've been playing for months and it has never been a paid app. LONG LIVE THE NEO ALLIANCE!